Are you trying to save money on food? Do you want to reduce food waste in your house? You can do both by creating a kitchen declutter meal plan. 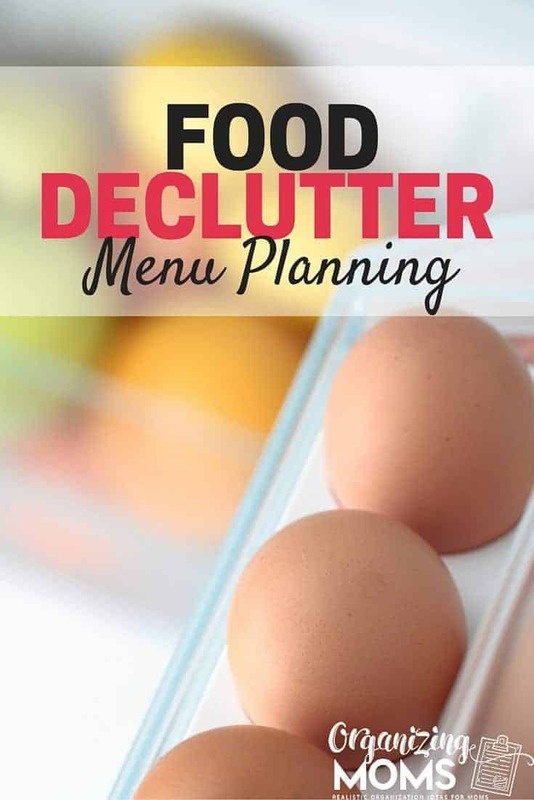 The kitchen declutter meal plan helps you to plan meals around stuff that you already have in your kitchen. You’ll make the most of things that will soon go bad, and you’ll also be able to use up pantry staples before they expire. 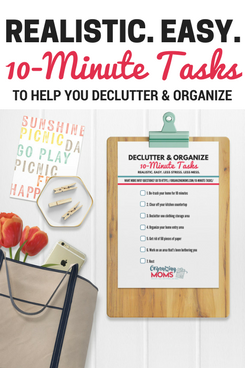 It’s a good idea to do a kitchen declutter meal plan before you’ll be out of the house for an extended period of time. It’s good to use up perishable food before before traveling. If you’re about to move, you may want to do a kitchen declutter meal plan for the weeks leading up to your move. It’s also a good idea to do a kitchen declutter meal plan if you plan to make major dietary changes in your house. If you anticipate that you’re going to do the Whole30, for example, you’ll want to get some of the forbidden foods out of your house before you begin with a new style of eating. 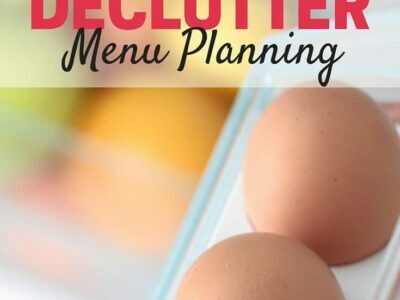 To create your own kitchen declutter meal plan, you’ll want to do the following. Check your fridge. Make a list of all the things that might go bad within the next week. Pay special attention to produce, meats, cheeses, dairy products, anything that you think might not last another week in your fridge. You’ll want to make sure to use those things up. Check produce that you may be storing in other areas of your kitchen. We keep a big fruit basket on our kitchen counter, so I always check that fruit basket to make sure we’re using up all the produce that we’ve purchased. Check pantry staples. Look for things that might expire within the next few months. You’ll want to make sure that you use those up too, so that they’re not forgotten. Make a list of all the things that you could use from your pantry. Check your freezer. Are there any mystery meats or soups in there that you’ve forgotten about? Try to use those up this week. Add them to your list so that you have them when you’re ready to create your meal plan. Piece together a meal plan using the list that you’ve made. Include everything. Use the things from your fridge, your produce, your pantry staples, even some of the mystery items from your freezer. Try to include them all within your meal plan for the next week. If you’re having trouble putting things together, allrecipes.com is a great resource. The website allows you to enter ingredients and it comes up with possible recipes for you. If necessary, make a list of all additional ingredients you might need. For example, we’re making tacos this week with random things that I found in the freezer and fridge. We have no tortillas, so that’s something that we will need to purchase for this week. Make a kitchen menu plan one week at a time, and you always use the stuff that’s about to go bad first. Don’t be afraid to create some strange meals. It’s worth it to have a few odd meals here and there to be able to save the money on food and use up the things that you already have.